Give your 2010-2014 Mustang a whole new dose of awesome with these SVE Series 2 wheels! The perfect blend of styling that looks killer whether at the track, on the streets, or cruising the show crowd. 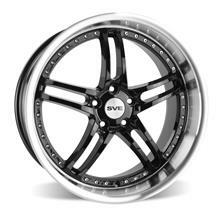 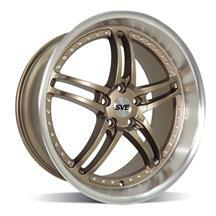 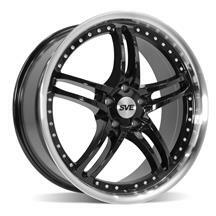 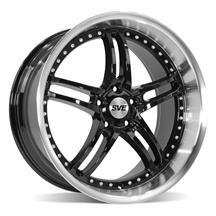 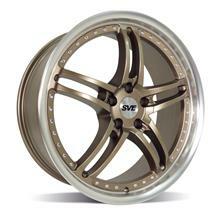 The SVE Series 2 wheel is a split 5 spoke wheel that features a polished lip and chrome rivets. 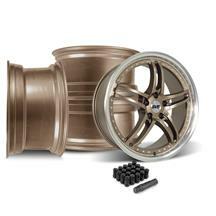 These are available in black, and gunmetal finishes, which are sure to look great on any color Mustang. Choose different sizes in 20x8.5" and 20x10". 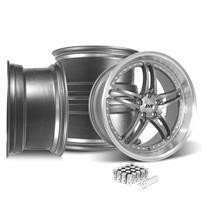 These wheels add a custom look while performing great on and off the track. 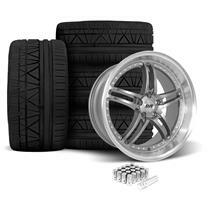 Pick them up individually, in a wheel kit, or mounted and balanced in a wheel and tire kit. These wheel kits are available in staggered sizes to give your S197 an intimidating look with increased traction in the rear!